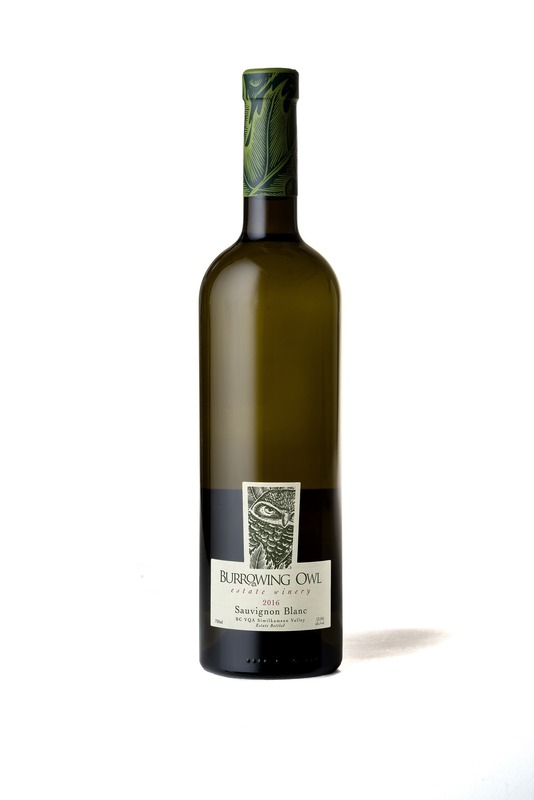 The 2016 Burrowing Owl Sauvignon Blanc opens on an intense nose combining grassy freshness with ripe citrus and orchard fruits. There is honeydew melon, peach, apple, pear, mandarin and a little honey, gooseberry and dried sage. It is dry, crisp and racy on the palate with a beautiful texture from lees and barrel ageing and powerful flavours of lemon zest, apple peel and lots of stony minerality on the very long finish. Pair this with a classic prawn cocktail or a goat’s cheese salad. Rhys Pender, Master of Wine. Ten years after the fabulous 2006 vintage, we were offered another amazing growing season in 2016. Spring arrived early: sunny and warm with just enough showers to boost vine canopy growth. July and August added ideal summer heat, ripening the grapes slowly. Lively and aromatic whites were picked during a dry September month while red grapes benefited from warm days and cool nights to fully develop their flavours while retaining their acidity. The Sauvignon Blanc grapes were harvested by hand from September 20th to 22th from our vineyard in Keremos. Half of the juice was fermented and aged in a selection of French oak barrels in order to develop the mouthfeel and to infuse woodsy, toasty and spicy undertones. The other half was fermented and aged in tank to promote its delicate and fresh fruity flavours. The Semillon grapes, also from Keremeos were harvested on September 29th 2016. Then they were fermented and aged in French oak barrels. After 6 months, Semillon, Sauvignon blanc, tank portions and barrel portions were all blended together. The wine was then filtered and stabilized before being bottled in April 2017.